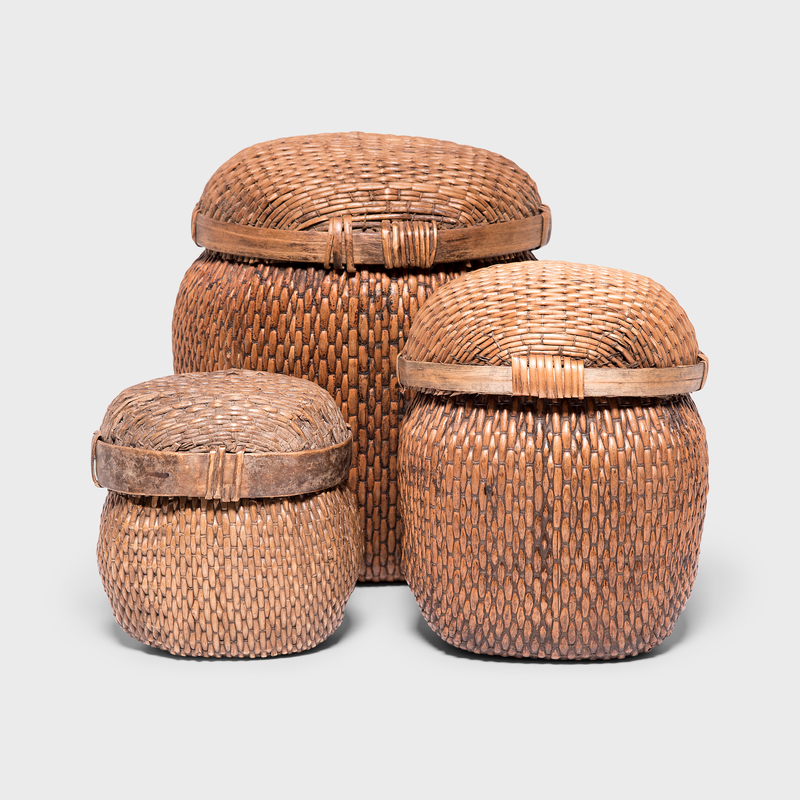 W: 12.5" D: 8.5" H: 7.75"
In the hands of a master craftsperson, the humble woven basket becomes a stunning work of art. 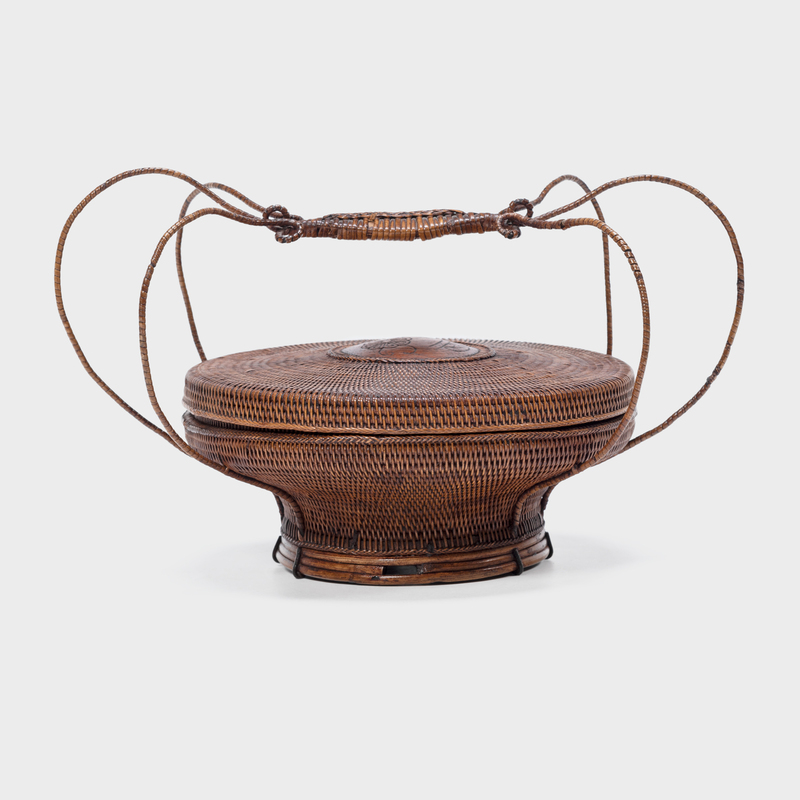 This early 20th-century Japanese lidded basket was finely woven of thin strips of smoked bamboo with simple mat plaiting (gozame-ami), framing a central carved medallion of a chrysanthemum flower. 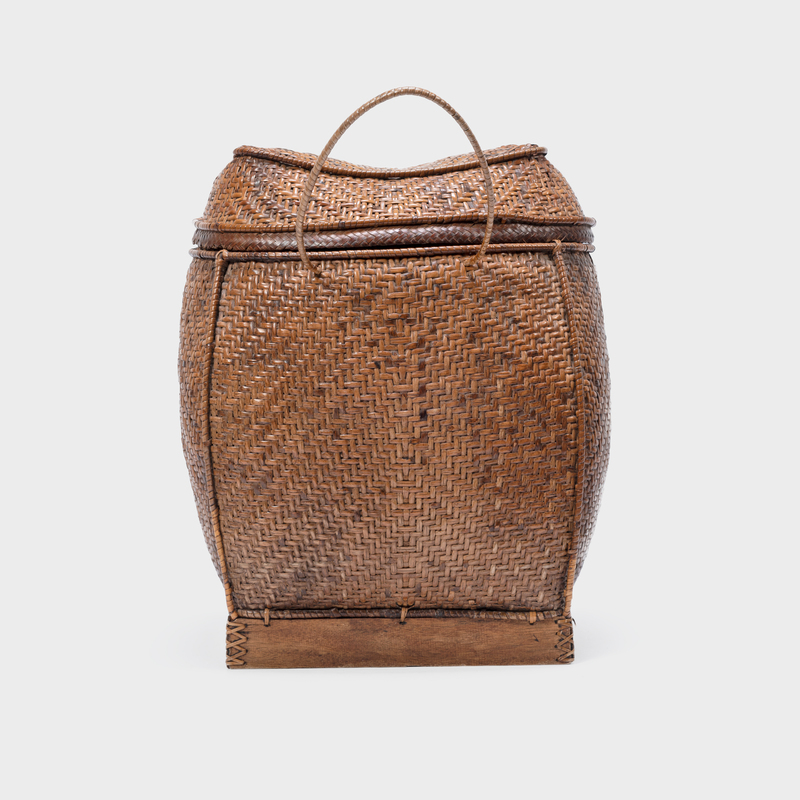 Finished in diagonal simple wrapping (bo-maki), six thin handles gracefully arch above the lid, ending in a single coil before converging in a tapered wrapping. 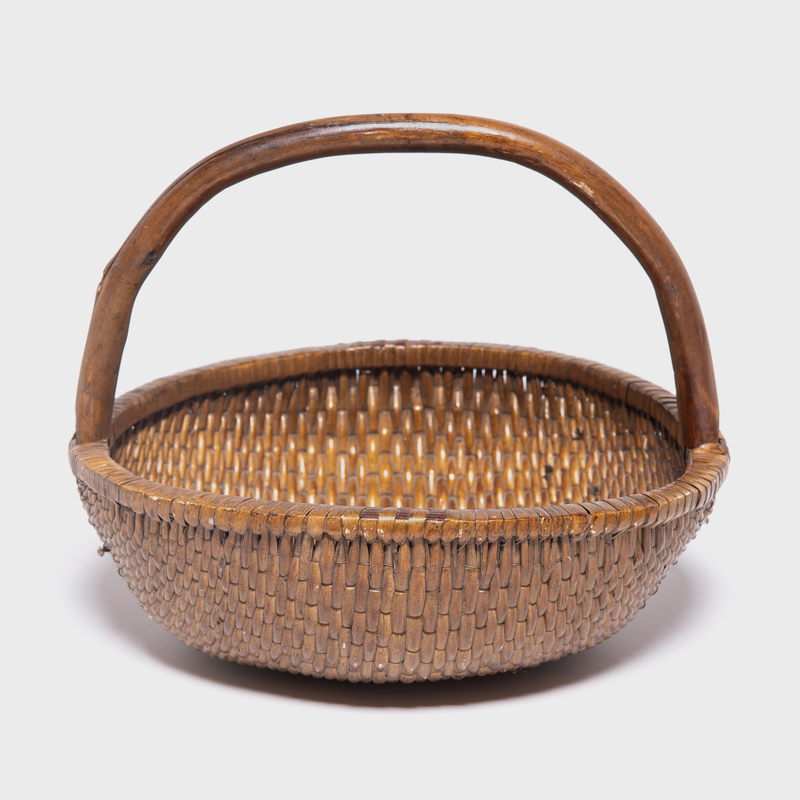 Likely used as a decorative storage container, the round footed basket is a captivating centerpiece and an exquisite example of Japanese basketry. Available to ship April 22, 2019. 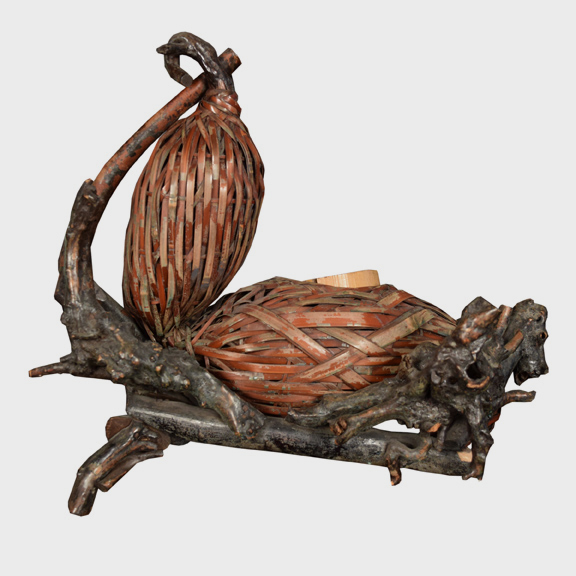 Item will be on display through the New York Botanical Garden Furniture & Antiques Fair 2019.